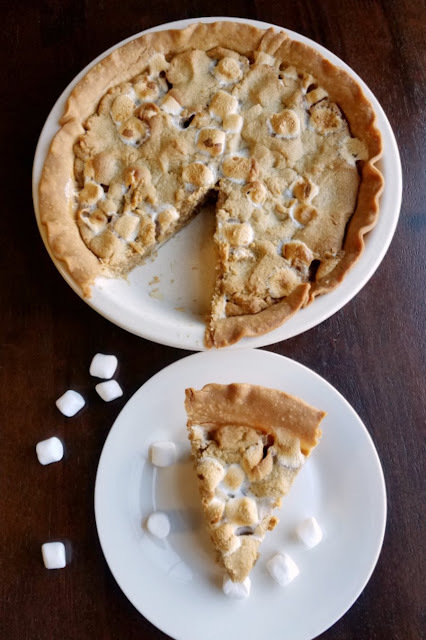 It's a peanut butter cookie loaded with mini marshmallows and baked in a pie crust! It is like my childhood dreams in pie form! 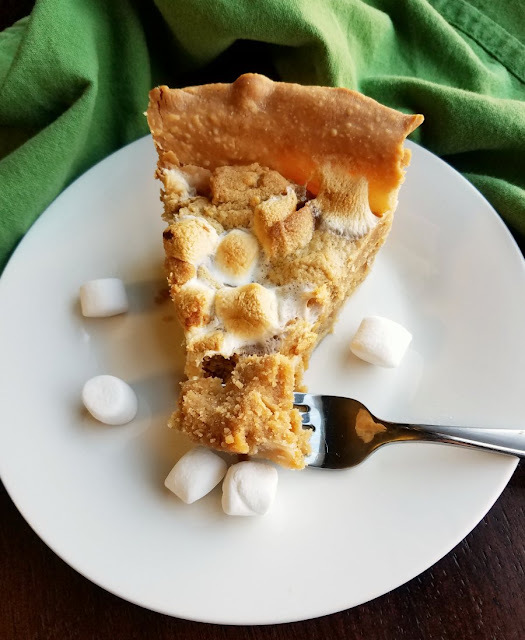 Imagine a soft peanut butter cookie dotted with bits of toasted marshmallow and nestled in a flaky pie crust. Actually, don't imagine it, get to baking so you can try it for yourself! You guys, my friend Alli from Tornadough Alli just published a cook book! It is called Untraditional Desserts and it is fabulous. I found Alli very early on in my blogging journey. She and I were both relatively new to blogging and it was encouraging to have somebody to learn alongside. She has a sweet tooth that rivals mine and she makes the most beautiful baked goods. So when I heard she was working on a book of desserts, I knew it would be great. She named it Untraditional Desserts and it revolves around flavors and ideas that are familiar, but with a fun twist. She sent me a copy before it was released and my stomach growled as I flipped through the pages. This is a time of year where sweets are everywhere and I really don't need to be making anything extra. It's birthday season in my family and the holidays too, so even my sweet tooth can be overwhelmed. However the pictures looked just to good to not bake a little something from the book sooner rather than later. 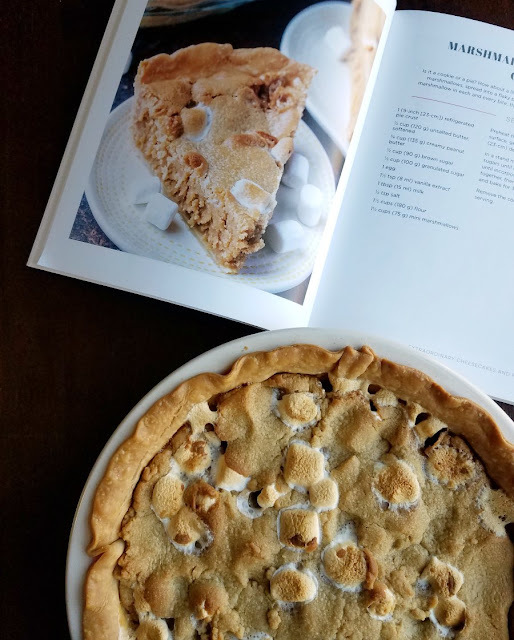 I had a few recipes marked as possibilities and then I stumbled on the marshmallow peanut butter cookie pie. Of course I had to make it, what choice did I have? Luckily it was as good as the picture suggested! Peanut butter treats usually get my husband's attention and soft peanut butter cookies are one of his favorites. So even though he was stuffed from dinner, he still needed to have a taste. Little Dude loved it too. He spotted it when he came home from school and could barely wait until after dinner for a taste. Roll out your pie crust and place into a deep dish 9 inch pie pan. crimp edges and set aside. Cream butter, sugar and brown sugar until light and fluffy. Beat in the egg, vanilla, milk and salt. Add the flour and mix until a dough forms. 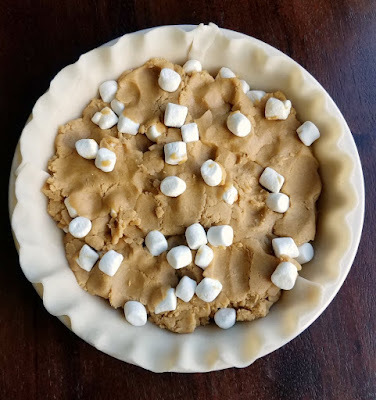 Fold in the marshmallows and then press dough into pie crust. Bake 35 minutes or until the center is just set. Well, fluff my nutter right now because this looks DELICIOUS!!!! lol! Stay safe girl, hope you're not in that blizzard path! This looks amazing! 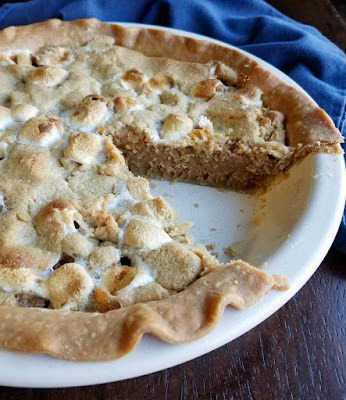 I'm a big peanut butter fan and can just taste this pie now! Carlee, this pie looks delicious. It is funny how I think that everything in the world has already been made! Nope there is always something new and yummy just like this recipe! It looks fantastic! Hi Carlee, oh my, this does look good! This pie would satisfy anyones sweet tooth. 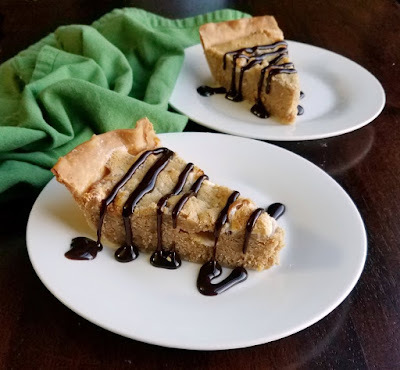 Your cookie pie looks so good and what a great idea! Hope you are having a good week and thanks so much for sharing with us at Full Plate Thursday!